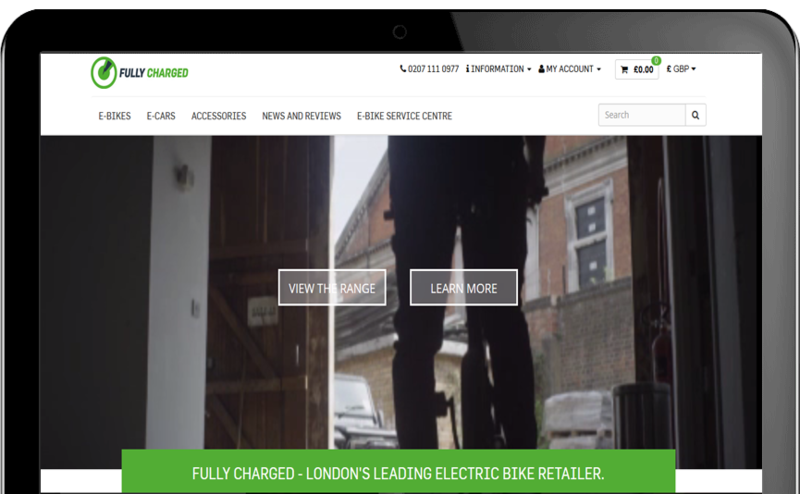 The primary focus of this project was to deliver a modern, utilitarian and future proofed e-commerce site for an emerging e-bikes company based in Hoxton. As a start-up company with a small digital budget, we had to provide an all-encompassing range of services, on a shoestring budget, in the shortest timeframe possible. Constructing a lightweight, mobile ready, website whilst also sourcing and optimizing product images and compiling a product database. SEO optimization and a basic social media strategy were also high on our client’s list of priorities. The project also required generating marketing content (videos, slider designs, Social Media shareable content etc.) to be used both on the site and elsewhere on the web. Impressive Google rankings from the first week of the site going live, on some search terms superseding the manufacturers sites. £15,000 of revenue via the website within the first two weeks. Over 350 new Page Likes on the Fully Charged Facebook page and 82 new followers on Twitter after two weeks of the new campaign going live.